Dr Thomas Longden is a Senior Research Fellow at CHERE. 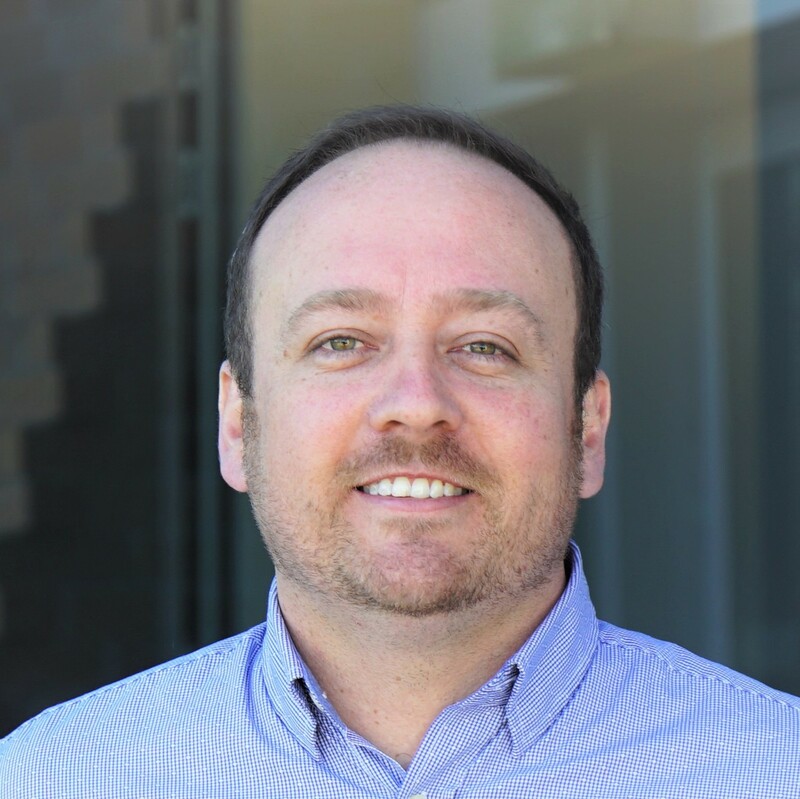 Before joining CHERE in 2016, Dr Longden was based at Macquarie University, the University of Sydney, Fondazione Eni Enrico Mattei (FEEM) and the Social Policy Research Centre (SPRC). Thomas holds a PhD from the University of New South Wales (UNSW) and his main areas of research interest are applied econometrics, health economics, environmental economics and energy economics. His current research focuses on multimorbidity, the persistence of high cost healthcare and the impact of extreme heat on mortality and emergency dept. attendances. His work on climate policy modelling, applied econometrics and technological change has been published in leading international journals (including Climatic Change, Health Economics, Energy, Technological Forecasting and Social Change, Energy Policy, Social Science and Medicine, the Journal of Environmental Management, and the Journal of Transport Economics and Policy). He has also acted as a reviewer for a range of leading international journals (including Nature Climate Change, Economic Record, Health Policy, Climatic Change, The Energy Journal and Transportation Research Part D: Transport and Environment). Thomas has lectured on environmental economics and microeconomics at UNSW and was a Contributing Author on the latest AR5 WGIII Intergovernmental Panel on Climate Change (IPCC) report titled Mitigation of Climate Change. In 2017 and 2018, he is an Expert Reviewer for the IPCC Special Report on 1.5oC Global Warming (SR15). Van Der Linden, N, Longden, T, Richards, JR, Khursheed, M, Goddijn, H, van Veelen, M, Khan, UR & van der Linden, MC 2019, 'The use of an 'acclimatisation' heatwave measure to compare temperature-related demand for emergency services in Australia, Botswana, Netherlands, Pakistan, and USA', PLoS ONE. This paper uses a unique multi-day multi-wave panel data set of households, and their travel to analyse the influence of life events and travel behaviour. We focus on the travel time stability of individuals participating in five or more waves of data collection. This reflects the broader use of GPS devices. The popularity of mobile devices offers greater low-cost opportunities for collecting detailed travel data records, and may lead to opportunities to analyse how life events impact upon travel behaviour. This paper also focuses on a range of issues that we expect will be important for research that uses longitudinal data sets. Decarbonizing transport will be necessary to limit global warming below 2 °C. Due to persistent reliance on fossil fuels, it is posited that transport is more difficult to decarbonize than other sectors. To test this hypothesis, we compare long-term transport energy demand and emission projections for China, USA and the world from five large-scale energy-economy models. We diagnose the model's characteristics by subjecting them to three climate policies. We systematically analyze mitigation levers along the chain of causality from mobility to emissions, finding that some models lack relevant mitigation options. We partially confirm that transport is less reactive to a given carbon tax than the non-transport sectors: in the first half of the century, transport mitigation is delayed by 10–30 years compared to non-transport mitigation. At high carbon prices towards the end of the century, however, the three global models achieve deep transport emission reductions by >90% through the use of advanced vehicle technologies and low-carbon primary energy; especially biomass with CCS (carbon capture and sequestration) plays a crucial role. The extent to which earlier mitigation is possible strongly depends on implemented technologies and model structure. Compared to the global models, the two partial-equilibrium models are less flexible in their reaction to climate policies. Wong, C, Longden, T, van Gool, K & Hall, J 2016, 'Morbidity interactions and the cost of healthcare: an analysis of a largesample administrative dataset of primary care, hospital pharmaceutical and total healthcare costs', Australian Health Economics Society Conference, Perth. composition due to underlying fuel use dynamics and/or carbon costs. Bosetti, V & Longden, T 2011, 'Light duty vehicle transportation and global climate policy: The importance of electric drive vehicles', European Association of Environmental and Resource Economists (EAERE) Annual Conference, Rome, Italy. Longden, T 2009, 'Going forward by looking backwards on the Environmental Kuznets Curve: The case of CFCs and the Montreal Protocol in contrast to the case of CO2 and the Kyoto Protocol', European Association of Environmental and Resource Economists (EAERE) Annual Conference, Amsterdam, Netherlands. IPCC Cambridge University Press 2014, Climate Change 2014: Mitigation of Climate Change. Contribution of Working Group III to the Fifth Assessment Report of the Intergovernmental Panel on Climate Change. Longden, T 2016, 'The regularity and irregularity of travel: an analysis of the consistency of travel times associated with subsistence, maintenance and discretionary activities'. Ge, G, Kalotay, E, Longden, T, Loudon, G & Trück, S 2016, 'Real Estate Cycles and Bank Systemic Risks'. Longden, T 2015, 'CO2 Intensity and the Importance of Country Level Differences: An Analysis of the Relationship between per Capita Emissions and Population Density'. Throsby, D, Zwar, J & Longden, T 2015, 'Book Authors and their Changing Circumstances: Survey Method and Results', Macquarie Economics Research Papers. Longden, T & Kannard, G 2014, 'Rugby League in Australia between 2001 and 2012: an analysis of home advantage and salary cap violations'. Longden, T 2014, 'Going Forward by Looking Backwards on the Environmental Kuznets Curve: An Analysis of CFCs, CO2 and the Montreal and Kyoto Protocols'. Carraro, C, Tavoni, M, Longden, T & Marangoni, G 2013, 'The Optimal Energy Mix in Power Generation and the Contribution from Natural Gas in Reducing Carbon Emissions to 2030 and Beyond'. Carraro, C, Longden, T, Marangoni, G & Tavoni, M 2013, 'Aligning energy markets and climate-policy objectives in the EU', VoxEU. De Cain, E, Longden, T & Sferra, F 2011, 'The role of energy technologies in achieving climate policies: updates of the WITCH model'. Longden, T & van Gool, K, 'FactCheck: are bulk-billing rates falling, or at record levels?'. In speeches delivered 24 hours apart, Labor leader Bill Shorten and Prime Minister Malcolm Turnbull made conflicting claims about the state of bulk-billing rates in Australia. A bulk-billed consultation occurs when the fee charged by the doctor or medical provider is equal to the benefit paid by Medicare - leaving zero out-of-pocket cost to the patient. The percentage of Medicare-funded consultations that are bulk-billed is referred to as the bulk-billing rates. These rates are widely seen as a proxy indicator of the accessibility of Medicare-funded health care. Shorten said that bulk-billing rates are falling. The next day, Turnbull stood at the same lectern and said bulk-billing rates are at record levels. Emmerling, J, Drouet, L, Reis, LA, Bevione, M, Berger, L, Bosetti, V, Carrara, S, De Cian, E, De Maere D Aertrycke, G, Longden, T, Malpede, M, Marangoni, G, Sferra, F, Tavoni, M, Witajewski-Baltvilks, J & Havlik, P, 'The WITCH 2016 Model - Documentation and Implementation of the Shared Socioeconomic Pathways'. This paper describes the WITCH - World Induced Technical Change Hybrid - model in its structure, calibration, and the implementation of the SSP/RCP scenario implementation. The WITCH model is a regionally disaggregated hard-linked model based on a Ramsey type optimal growth model and a detailed bottom-up energy sector model. A particular focus of the model is the modeling or technical change and RnD investments and the analysis of cooperative and non-cooperative climate policies. Moreover, the WITCH 2016 version now includes land-use change modeling based on the GLOBIOM model, and air pollutants, as well as detailed modeling of the transport sector and the possibility for stochastic modeling. This version has been also used to implement the Shared Socioeconomic Pathways (SSPs) set of scenarios and RCP based climate policies to provide a new set of climate scenarios. In this paper, we describe in detail the mathematical formulation of the WITCH model, the solution method and calibration, as well as the implementation of the five SSP scenarios. This report therefore provides detailed information for interested users of the model, and for understanding the implementation of the different 'worlds" of the SSP.